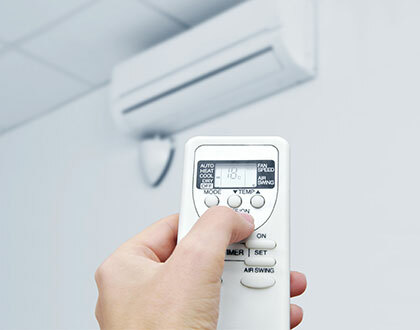 Multi-Head Split System Air Conditioners have one outdoor condensing unit connected to multiple indoor units. Having just the one outdoor unit means less power consumed, not to mention the saving of space. Another big plus of this system is each unit has its own temperature control. 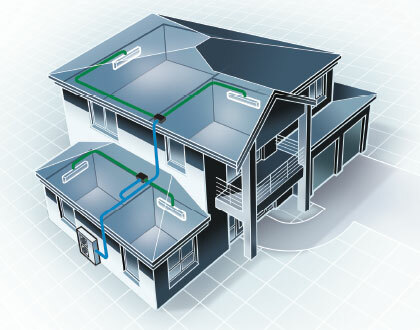 The multi-split system uses Inverter Technology meaning the inverter adjusts the power to suit your requirements. Simply put - the inverter continuously adjusts its heating and cooling output in accordance with your desired temperature. Once reached, it is constantly maintained keeping you nice and comfy and saving you dollars. The indoor units offer style choices and sizes for those wanting comfort that blends with their surroundings. Save power and space with one outdoor condensing unit connected to multiple indoor units. Each unit has its own temperature control.Each unit has its own temperature control.